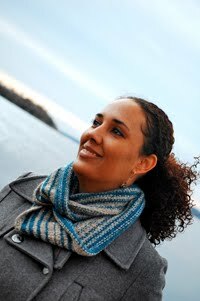 Cambria Washington: knitwear & patterns: And....I'm 35. You know, somehow I don't feel any different than when I was 25. Okay, maybe a little bit different. Wiser. More patient. Happier. More content with my life. Peaceful. Driven. Fulfilled (in love and in faith). More like a parent (now that I have two boys instead of one). Somehow I didn't really know what other parents were talking about; you know, about how your whole heart can love something so much and you don't know how it could be possible for you to feel the same about another creature like you do about that one child. How you expect to love one half as much when the next one comes because you only have one heart and two children, and you'll have to split the love in half. Having that second child let me learn that I had a root cellar in my heart, where I had enough room to fit in exactly the same amount of love for the next child as I already had for the first one. And I'm feeling more proud of myself than I ever did at 25. I'm four months away from earning my bachelors degree, and planning for grad school. I always wanted to do it, but never thought I could. And one day I just decided I was gonna, and now I am. Today brought with it a few lovely gifts that I treasure (and I'm not sure if the 25-year old me would have seen how priceless they are). My son let me sleep in another hour this morning. He got dressed on his own the first time I asked. He sat quietly on the couch (I'm talking no sounds...not moving a muscle...I actually asked if he felt okay) and watched cartoons before school. My step-mother-in-law brought me a box full of vegan deserts so I could have a treat on my day! After being so sick, I can't have standard cake today (the milk and soy) and I was feeling a little down about it. The value isn't in the swag. The value is in the various expressions of love that I got today. I'm loved and I've got three mothers who make it a point to show it (cause my on mom got up at the crack of dawn (Pacific Time) to call me today and wish me a happy birthday...I love you mom!). So I'm passing along the love this week with a pattern sale. Tell everyone! Tell non-knitters, and offer to knit for them if they buy the pattern (lol). Go right now and get your 35% off, cause it's only good for a week. 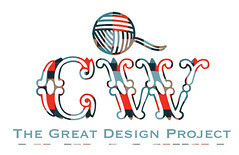 (You do not need a Ravelry account to purchase a pattern from my Ravelry store). Are those vegan treats from Wild Flour, in the shopping center across the street from me and Jason? They make the best stuff!